1. Click the video icon at the top of your chat window to call your friend. 2. Simply click the “Set Up” button and follow the instructions to set up video calling on your browser. 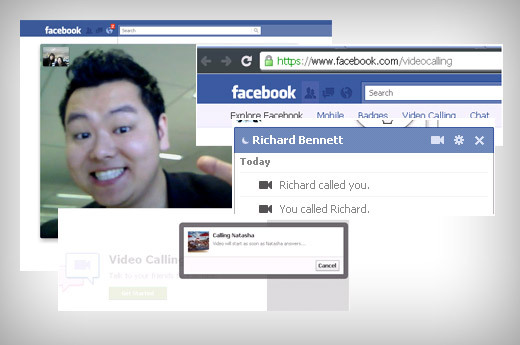 There is also a alternative for video chatting on facebook. It is easy and it done using the help of skype. Watch the below video. It will tech you to setup video chat on facebook using skype.